Cherry Mobile is gearing up for the incoming holiday season with a slew of new devices from the Flare S7 series. 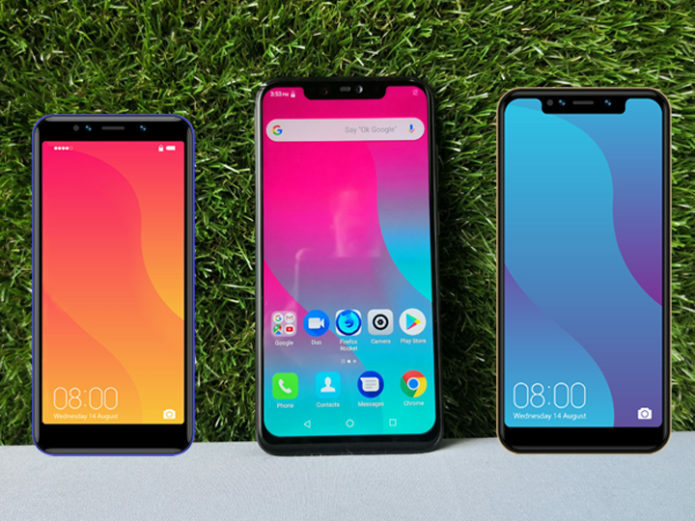 Three new devices are incoming similar to last year, each with their own unique characteristic to boot. The Cherry Mobile Flare S7 offers a tall 18:9 TrueView display, a four-camera setup with two at both front and back, USB Type-C, and Android 8.1 Oreo right out of the box. The Cherry Mobile Flare S7 Deluxe possesses a quad-camera setup with the secondary camera supporting for better depth of field. While it follows the Flare S6 Deluxe launched in December 2017, most of the phone’s specifications are similar with the Flare S7 itself. Lastly, the Cherry Mobile Flare S7 Plus continues the lineage of premium-positioned Flare S-series phones after the Flare S5 Plus in 2015 and the Flare S6 Plus last year. As we have previewed a few days ago, this device features an all-glass back and a notch that’s quite a trend this 2018. Powering the device is a MediaTek’s Helio P60 chip seen on other phones such as the OPPO F7, F7 Youth, and F9. Android 8.1 Oreo runs in the phone, and it also features wireless charging and ‘Flaremojis’ — their own version of animated emojis — right out of the box. Official pricing and availability for these devices are yet to be announced.